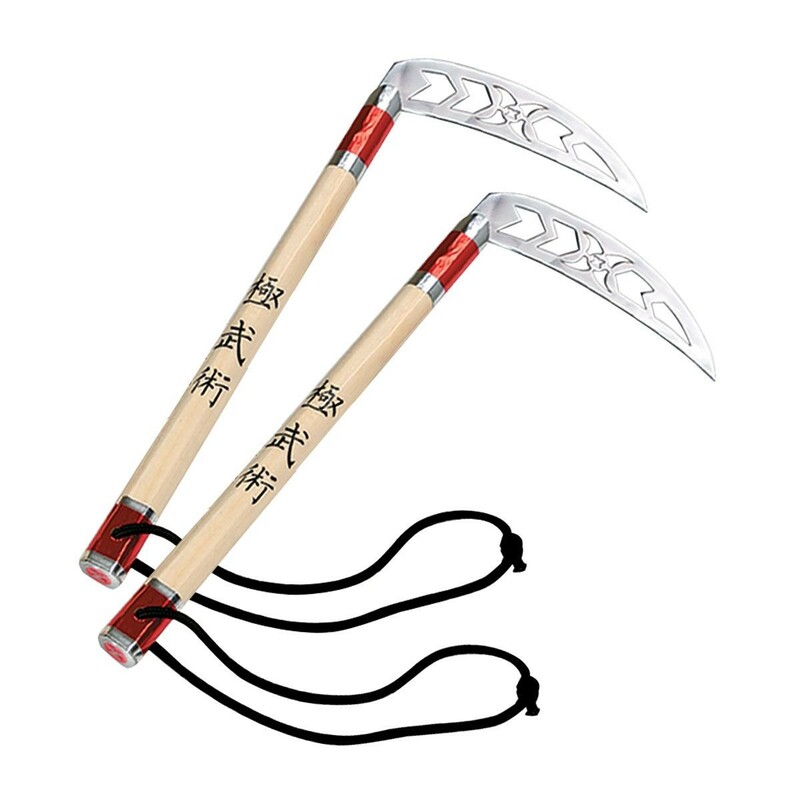 Take training to the Xtreme with these midweight training kamas featuring unique XMA cut-out chrome blades. The 14" natural wood handles are planed on both sides for superior grip with wrist straps added for a secure hold. Handles are accented with water transfer XMA Kanji symbols and silver with red chrome tape.